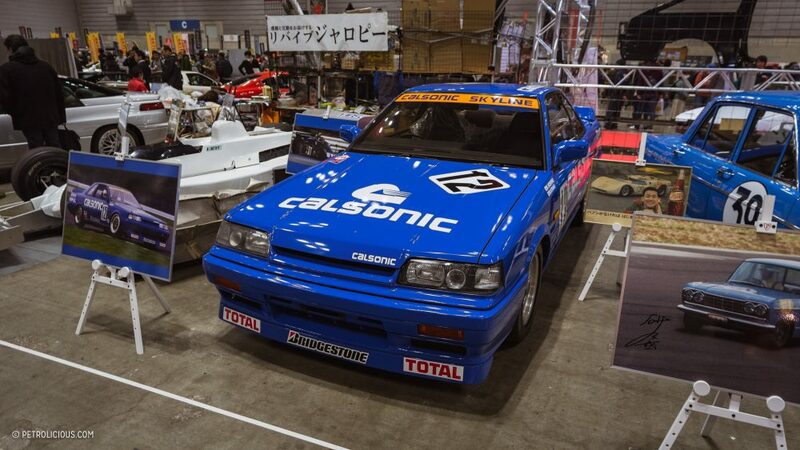 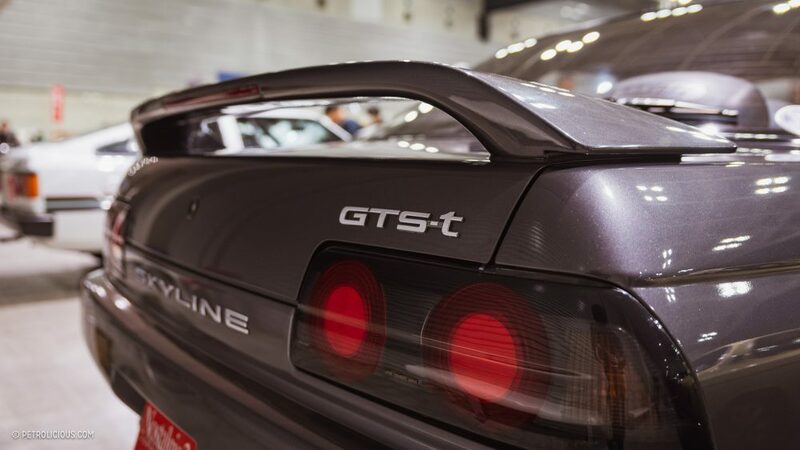 The Nostalgia 2 Days is possibly the raddest indoor retro gathering in Japan. 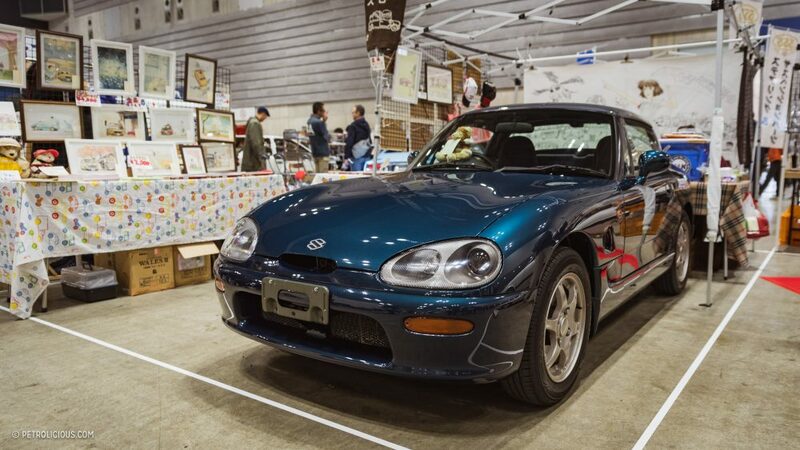 Basically a trade show/swap meet/classic car display, there’s almost nothing here made post 1999 except for a few the manufacturers hauled in, like Mazda’s MX-5 RF. 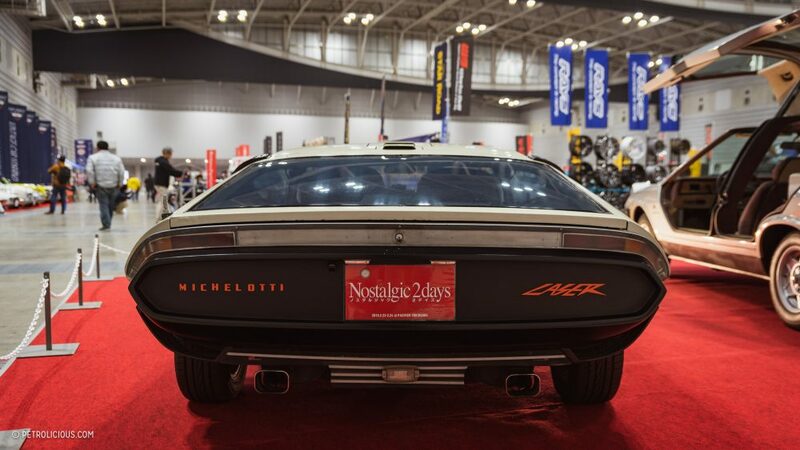 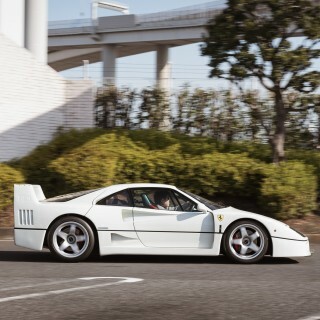 Regardless of a few post-Y2Kers, the “Nos2Days” was all about evoking nostalgia from a time when bucket hats, 4:3 aspect ratios, and the phrase “as if” were still in vogue—there were a few older models like the 2000GTs mentioned in the title, but the 1970s and ‘80s were the best-represented decades here. 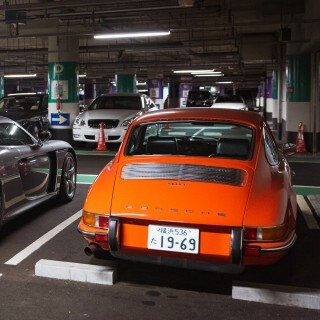 That was obvious as soon as I walked into the hall and heard the Bee Gees coming through the PA. 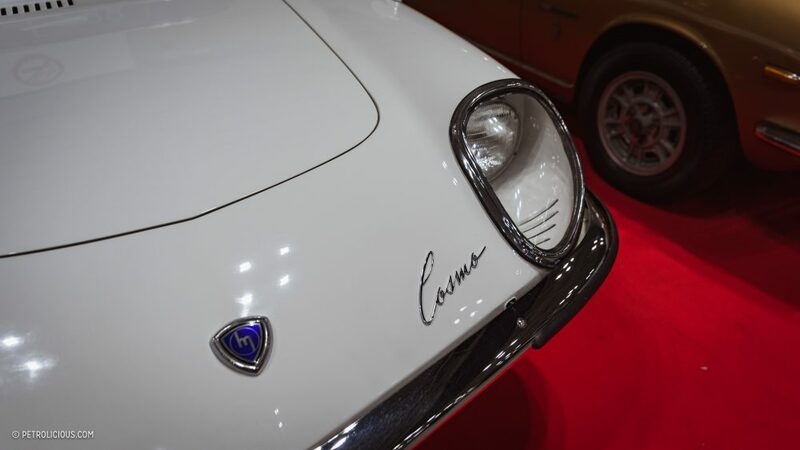 Throughout the whole show they played era-appropriate music to go with the cars, but that also meant a span of at least two decades—still, much better than modern pop hits on a department store-like loop. 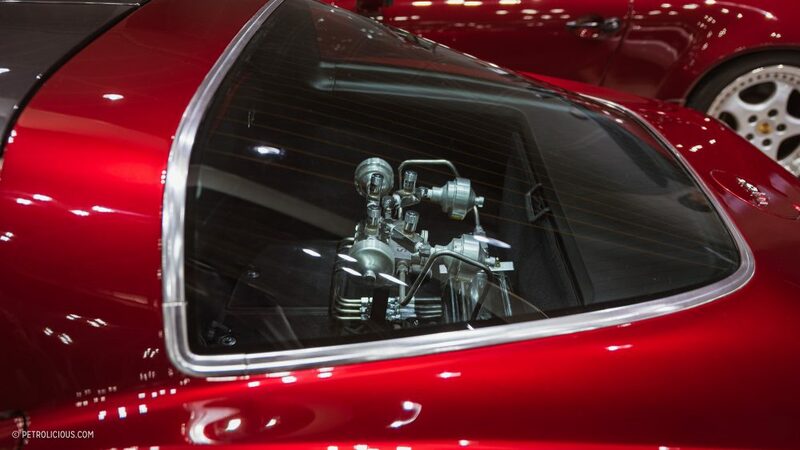 It was this sort of attention to detail that made Nos2Days an enjoyable little (but dense) show to immerse myself in for a weekend. 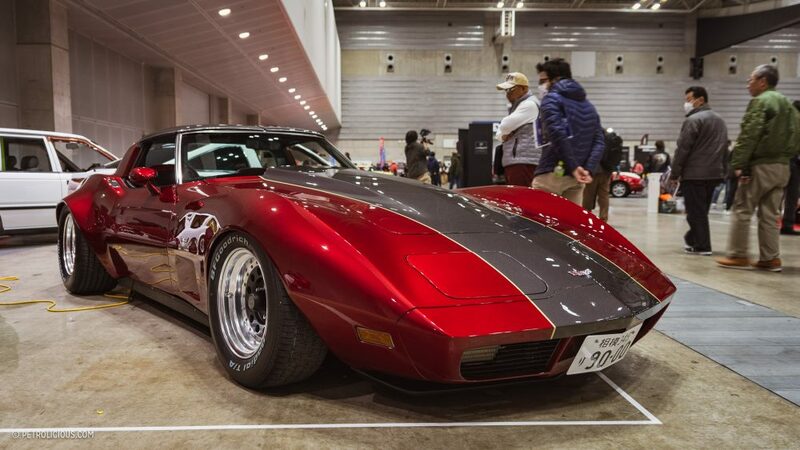 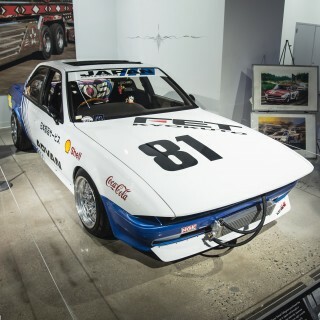 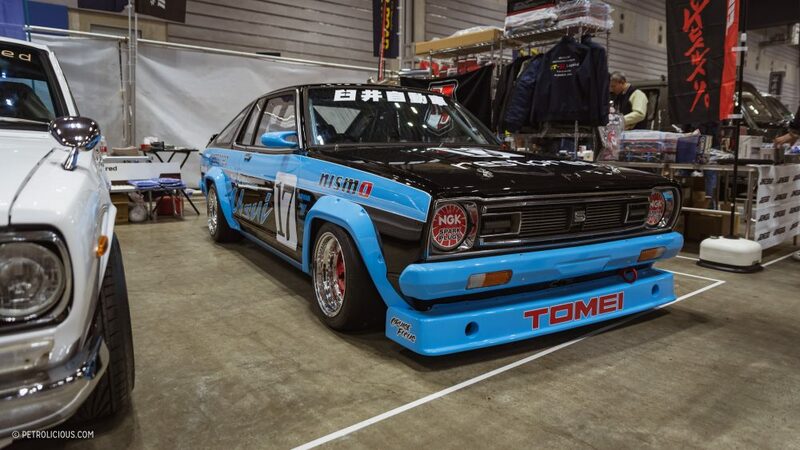 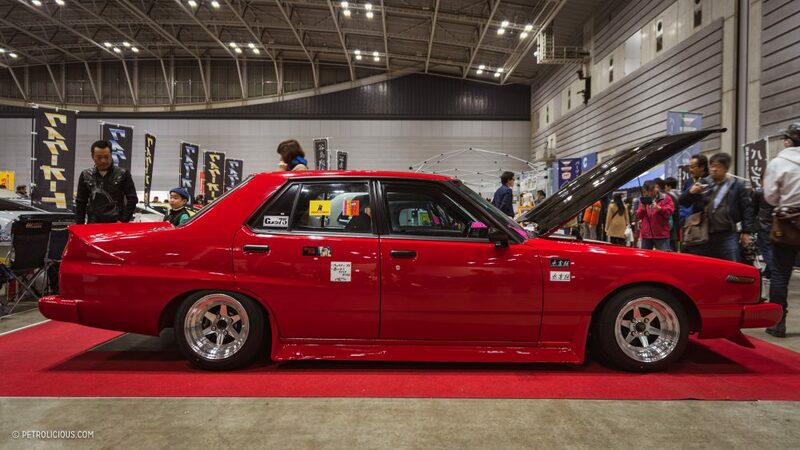 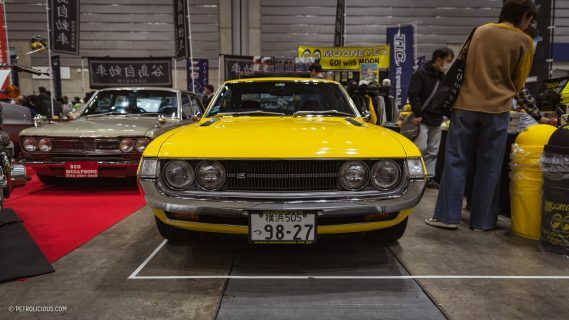 Produced by Nostalgic Hero, Hachi-Maru Hero, and Nostalgic Speed magazines, this is all about old school cool, and while the domestic manufacturers were the most represented, there were plenty of foreign material to ogle. 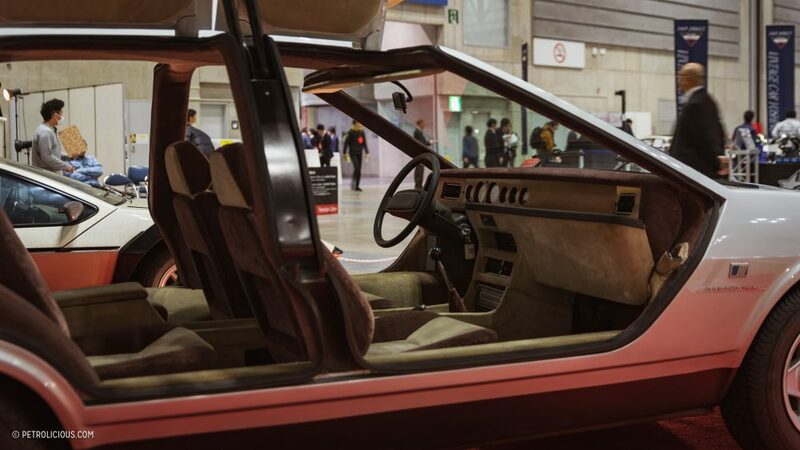 First things first, the pair of Michelotti concepts display front and center in the main hall. 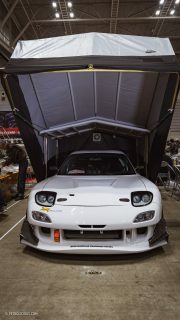 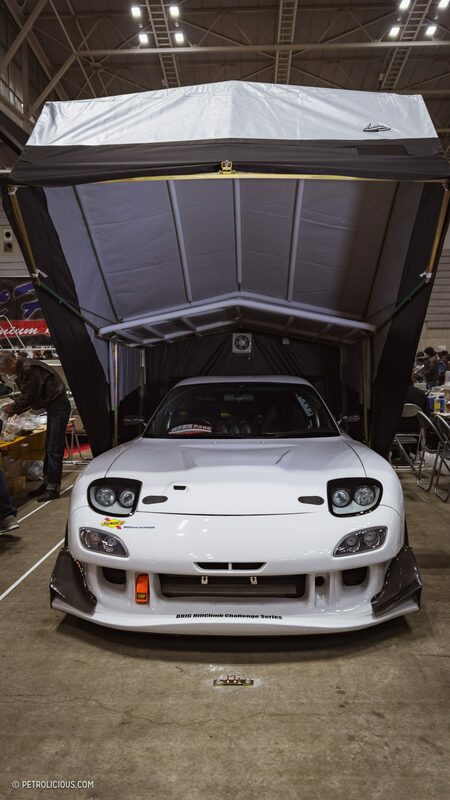 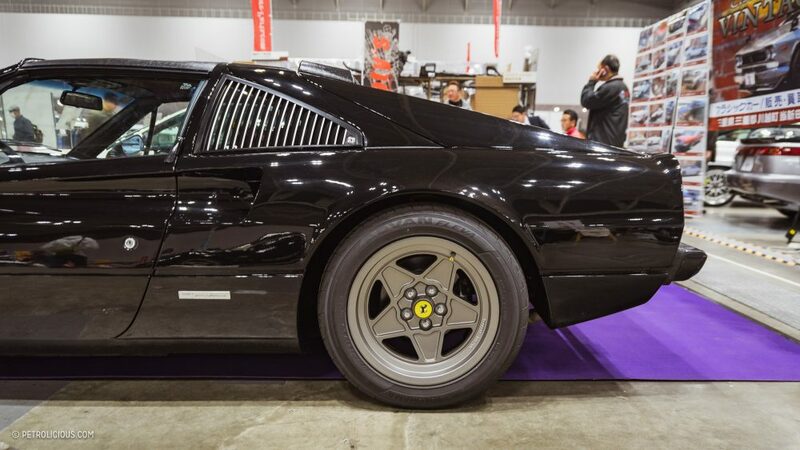 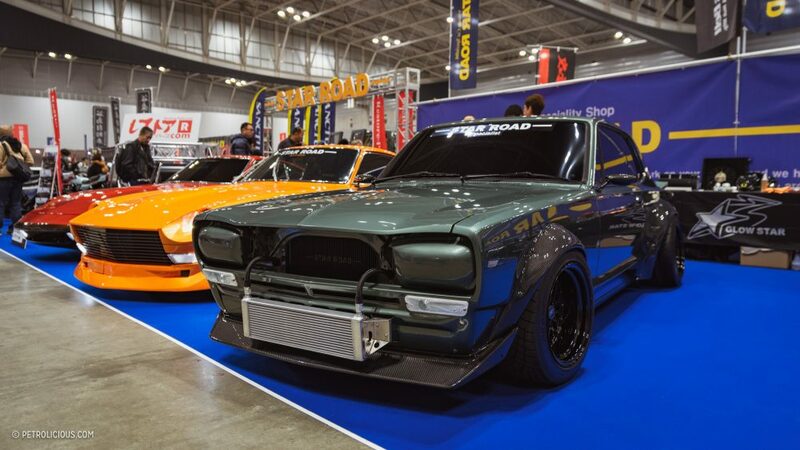 The organizers said this was the first time the pair had been displayed at a show together, so it was a truly unique sight to see these wild concepts at a small show in Yokohama. 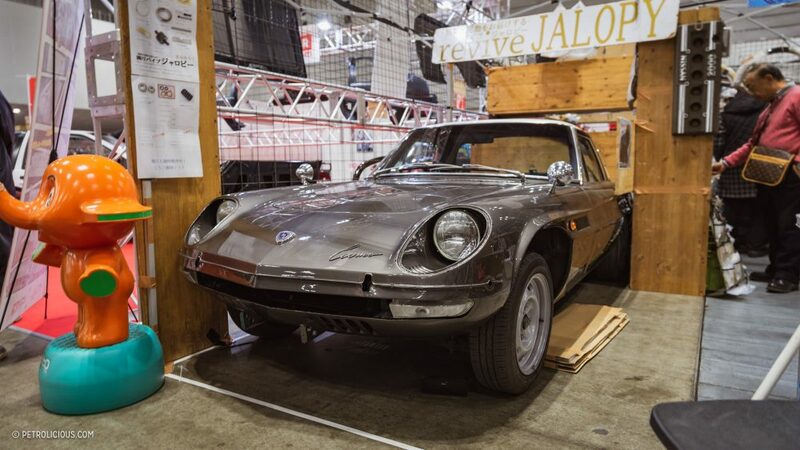 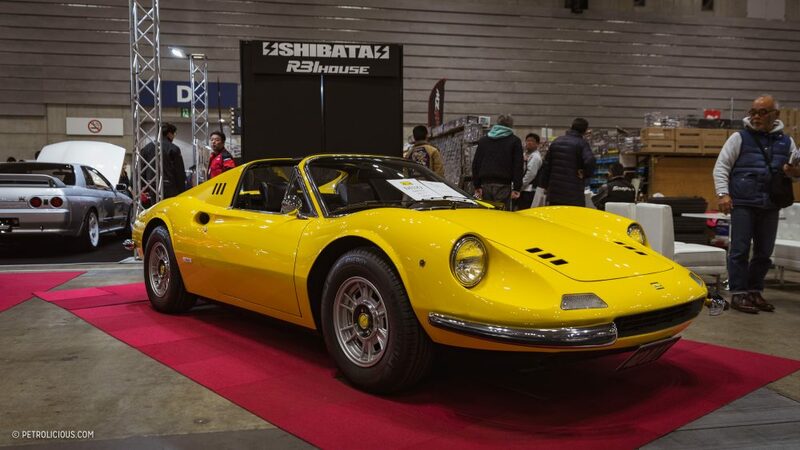 To add to the impact, this was also thought to be the first time the Matra Laser (pictured above) has resurfaced since its last appearance in public at the Tokyo Concours in 2009. 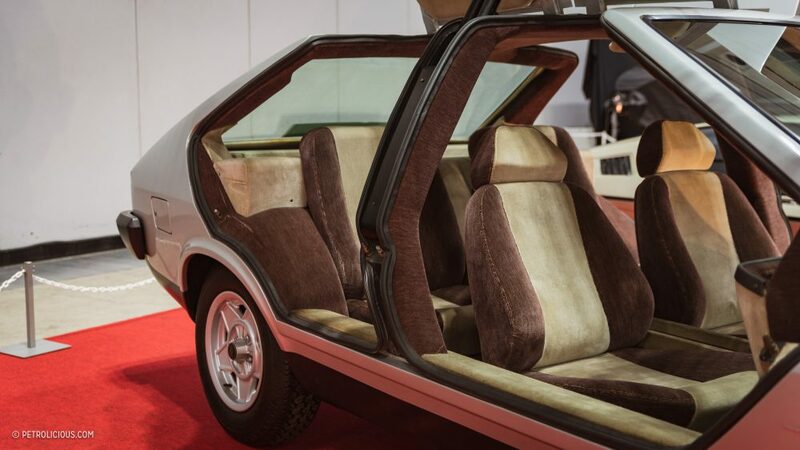 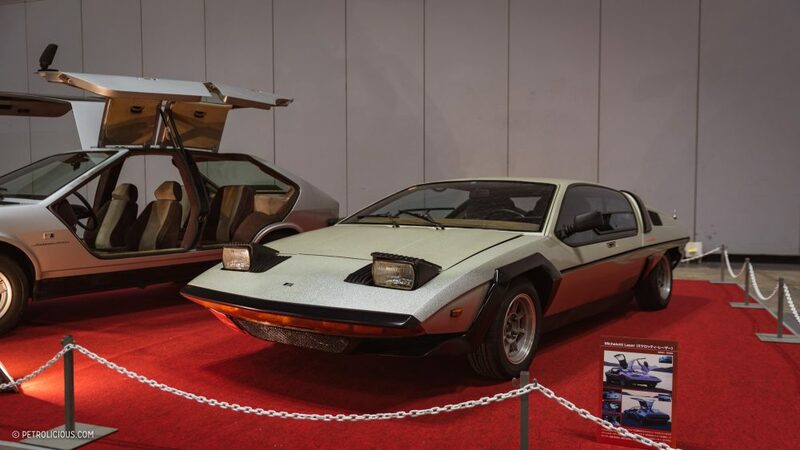 The dramatic wedge shape, gullwing doors, and the bass-boat-flake silver paint scream 1970s concept car, and if the exterior is someone too plain for your tastes, the interior ought to do the trick. 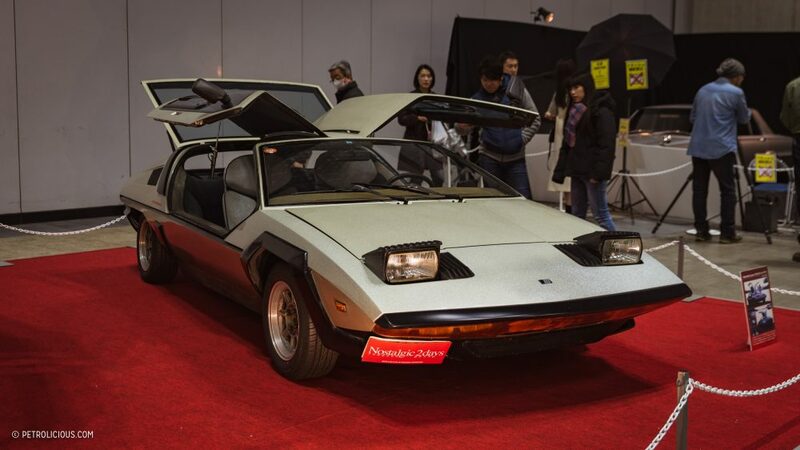 Next to it, the Lancia Mizar (pictured above) was another example of the gullwing-crazy era of prototypes and concepts, and its four-door configuration makes the Tesla Model X look pedestrian. 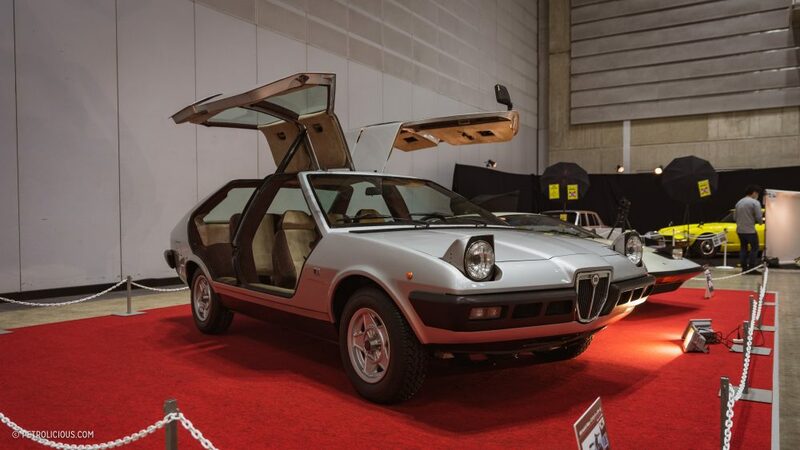 Based a humble Lancia Beta 1800, Michelotti completely transformed that car into the Mizar. 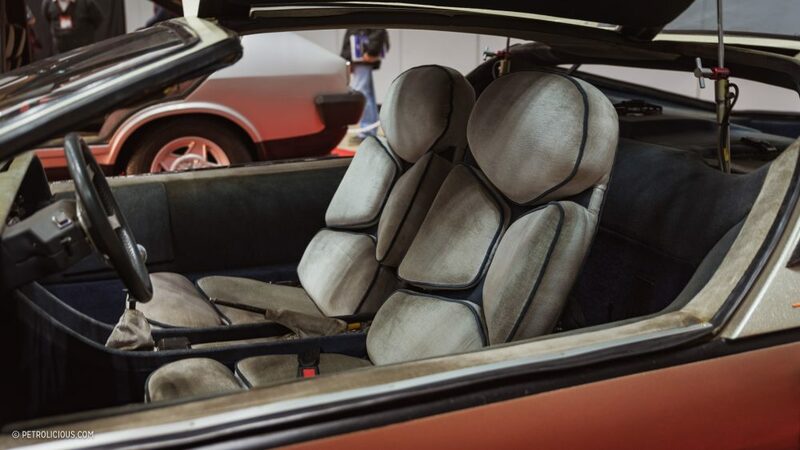 Aimed at being a study in making good-looking, avant garde, yet safe family cars, the Mizar had a conspicuous lack of seat belts—perhaps that’s why the Mizar isn’t registered for road use while the Laser is. 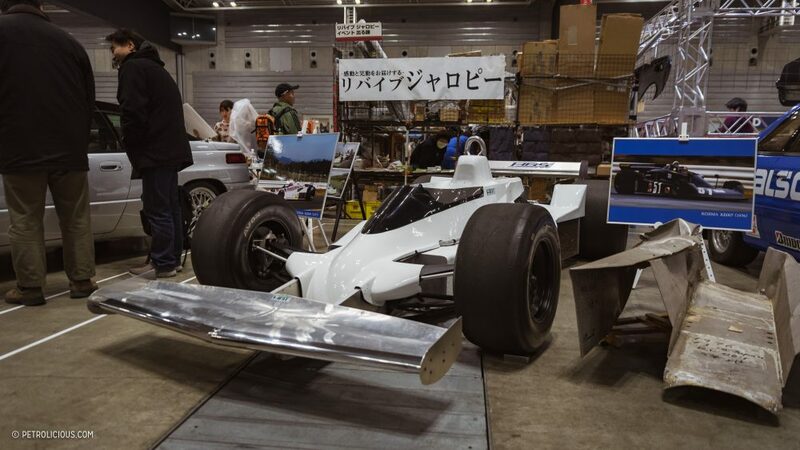 Whether or not it’s even feasible, it’s nice to see the concept being preserved rather than retrofitted for road use. 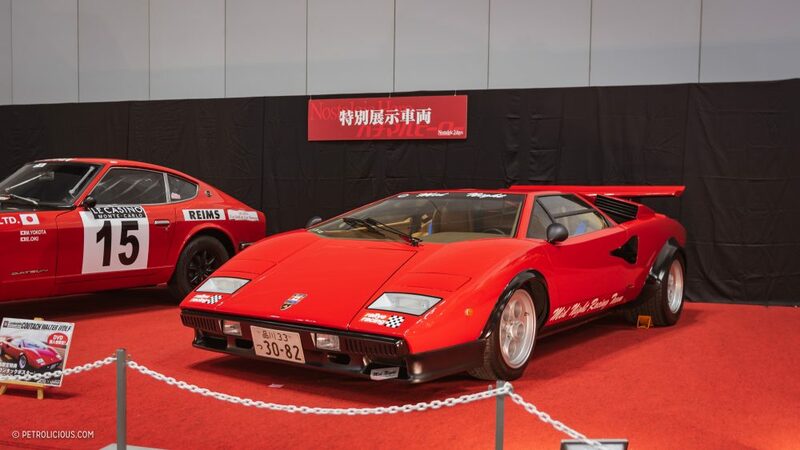 Among the other stars of the show was the very first Lamborghini Countach “Wolf.” The car above was one of the very first of Walter Wolf’s evolutions of the famous bull, has been in the care of its owner Okada-san for more than 20 years. 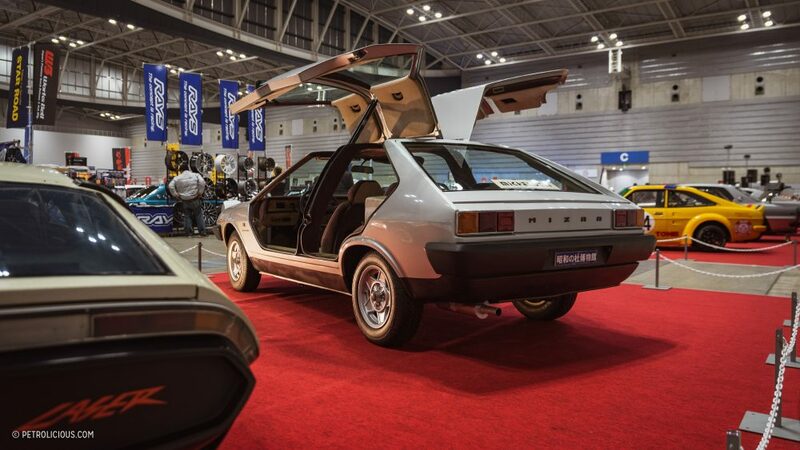 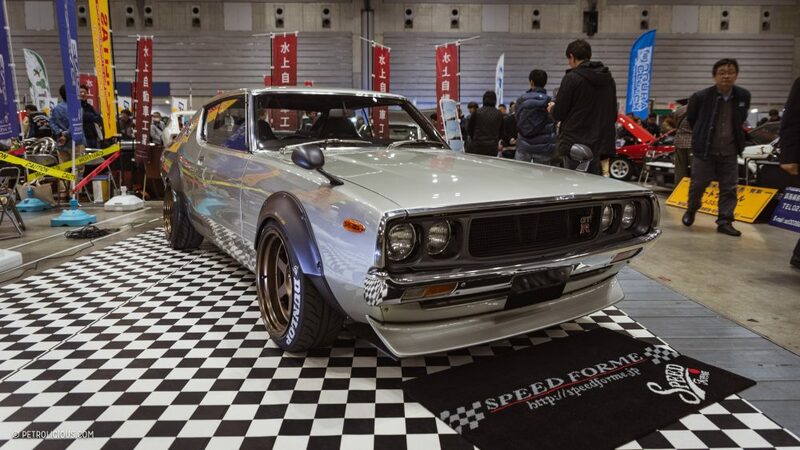 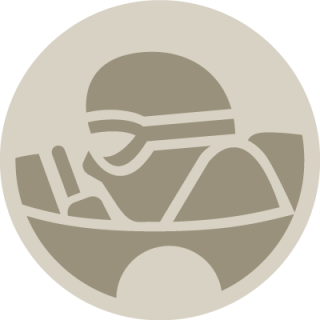 This particular car gained fame and a cult following in Japan after it appeared in the 1979 movie The Resurrection of Golden Wolf. 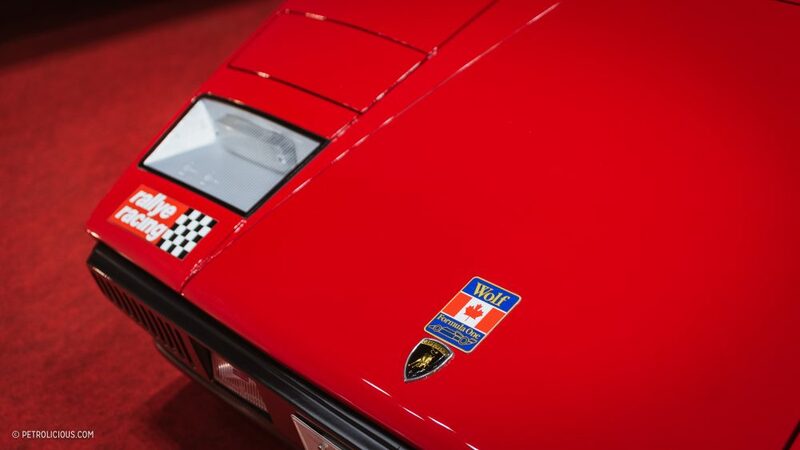 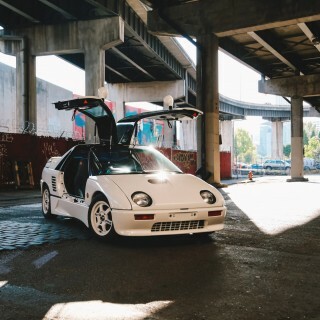 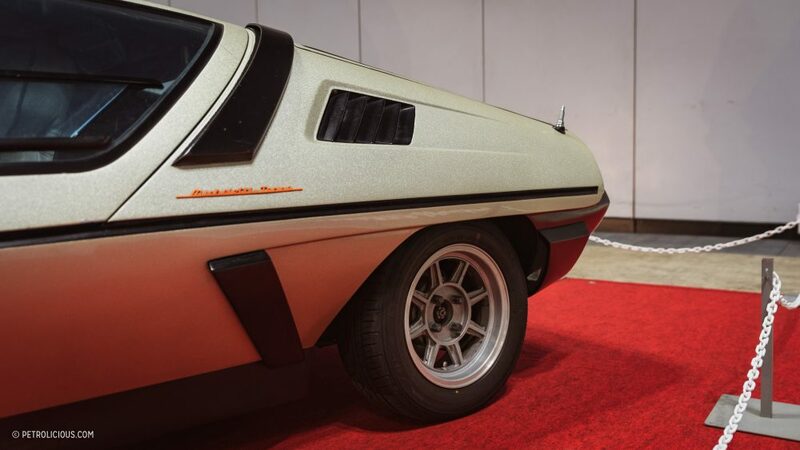 Ever since then, it’s been a car lusted after by Lamborghini enthusiasts in Japan and around the world, as Walter Wolf’s versions would eventually go on to bring the first wide body Countach into production. 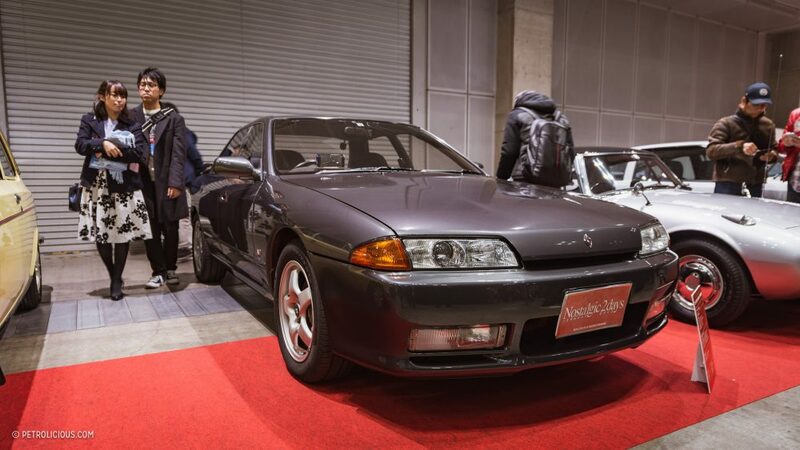 The Wolf was in good company here, seeing as it was sandwiched between a few special Nissans displayed courtesy of the Nissan Zama Heritage Gallery. 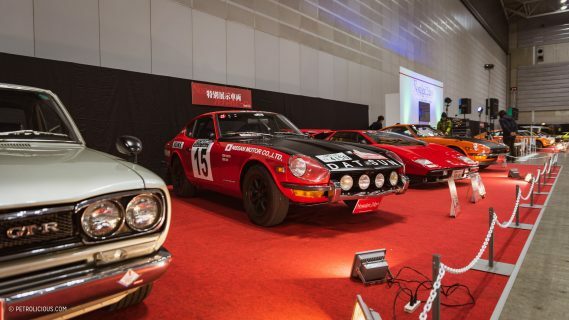 Walking around the hall—it’s really not a very big show in terms of square meters—you will notice the varying degree of condition the cars are in. 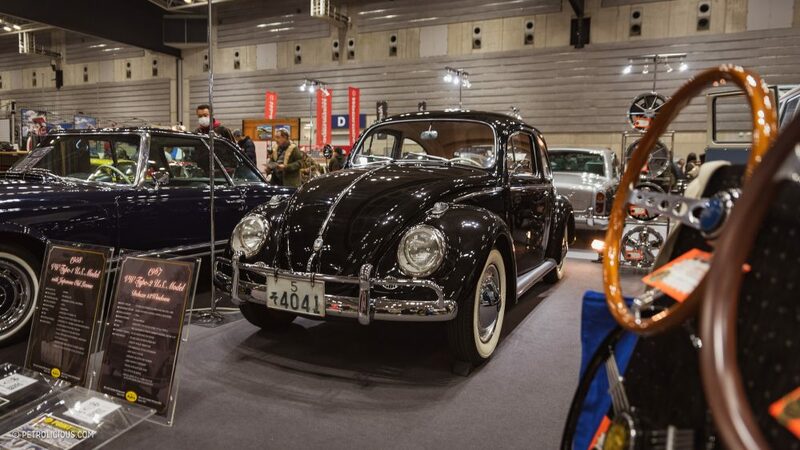 Over the years the show has gotten bigger and has attracted more exhibitors and spectators such that there’s now something for nearly every corner of the vintage enthusiast ecosystem. 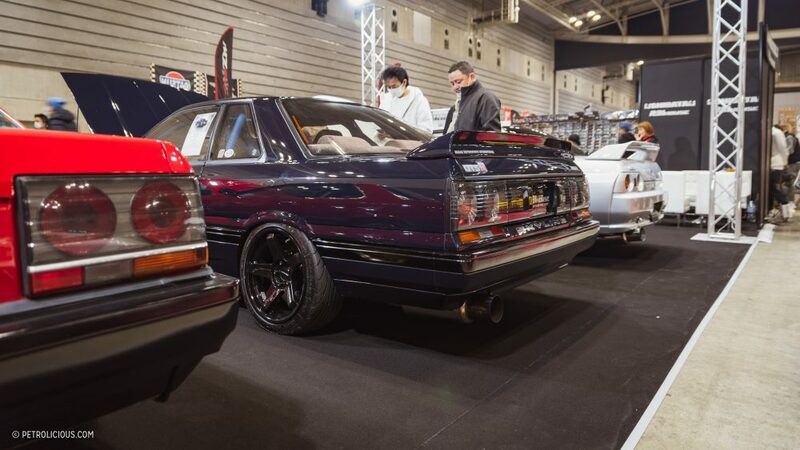 From a whole pack of Nissan Leopards, modified Skylines, base Datsun 240Z shells, and a restomodded 911 thrown in for good measure. 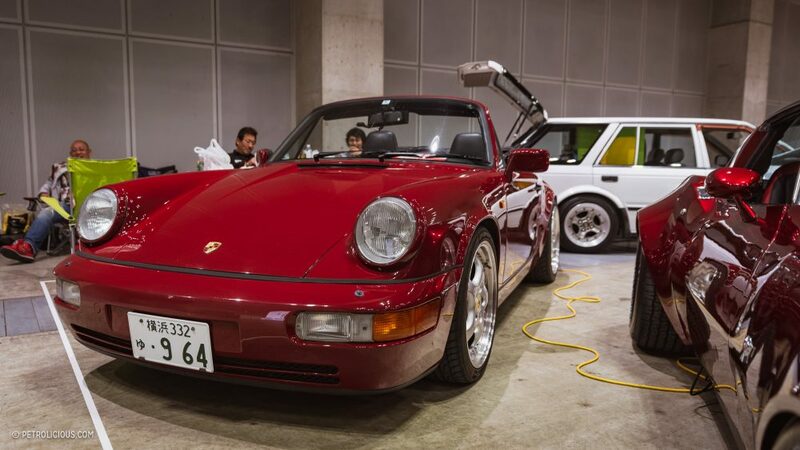 The restomod 911 was rather interesting, even if we seem to be inundated with these kinds of cars more so now than ever. 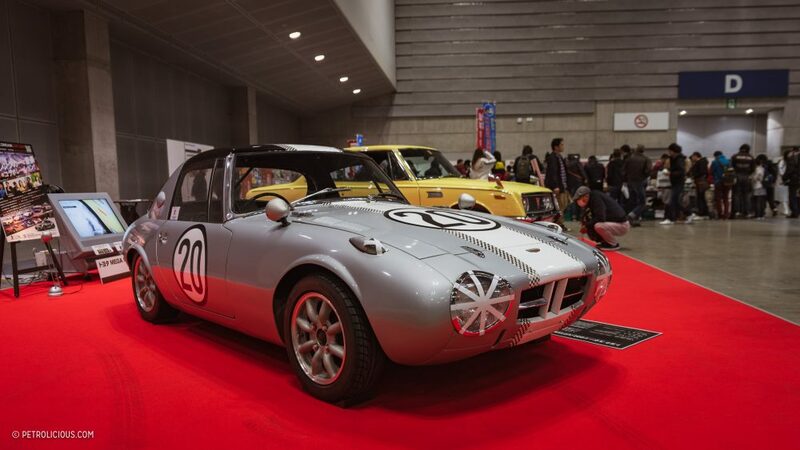 This one is a sort of Japanese take on the Singer concept, and it comes from Koa Speed. 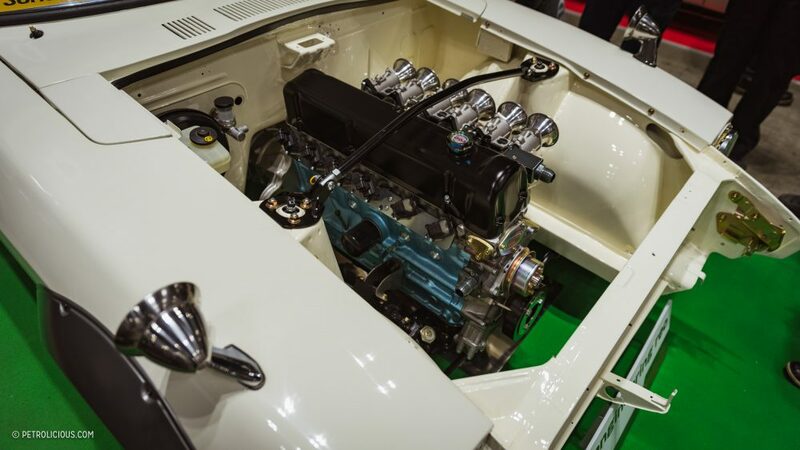 Starting with a 1970 Porsche 911, the car was stripped and rebuilt, and its now got 3.3L in the back with a K27 turbo and an freshly rebuilt transmission attached to it. 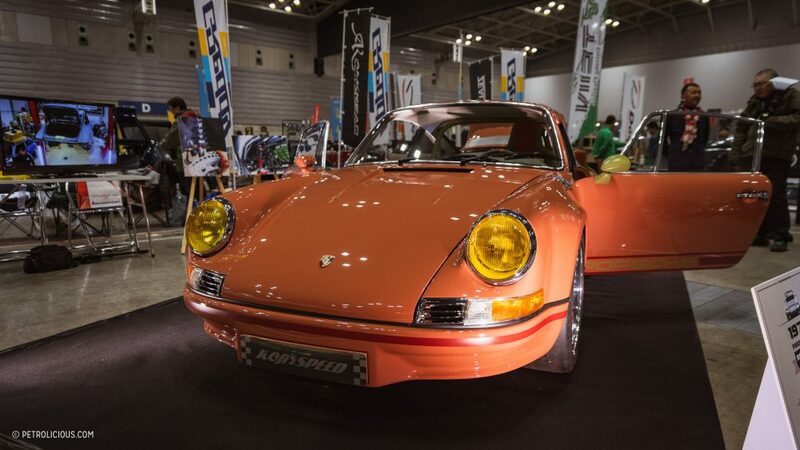 Interestingly, they chose a salmon-orange color to show the car, but it was nicely executed and a refreshing change from all the slate grey and signal colors that are typically chosen for these kinds of builds. 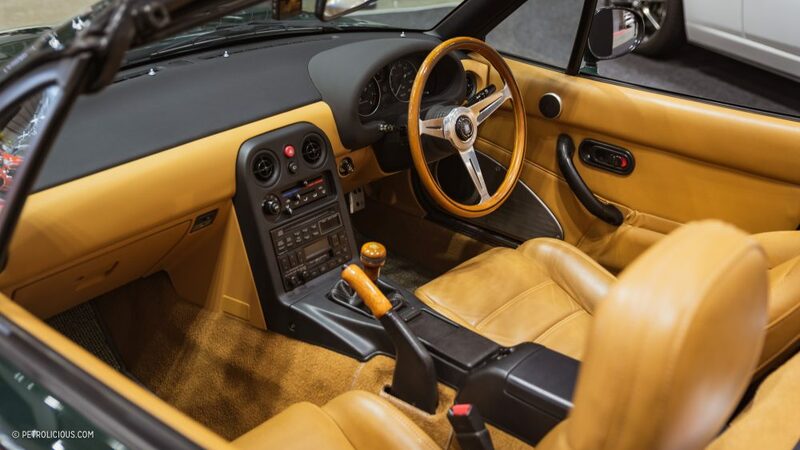 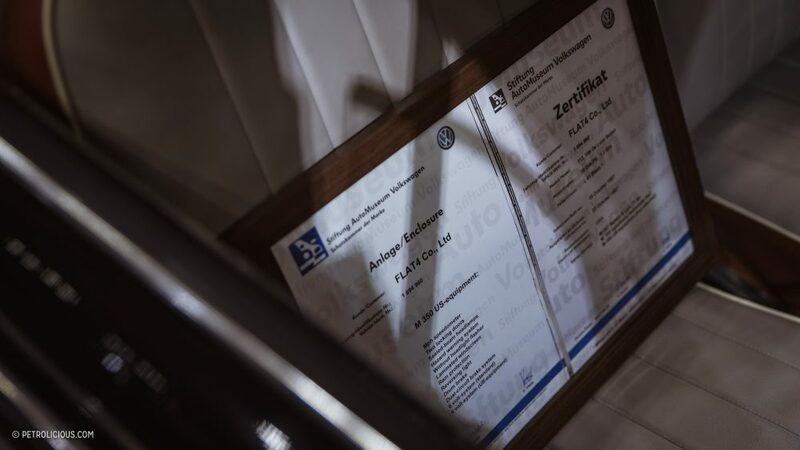 The interior, which was all custom of course, brought the exterior’s aesthetics inside, the curves and angles of the Recaro Sportster seats blending very nicely with the bodywork encasing them. 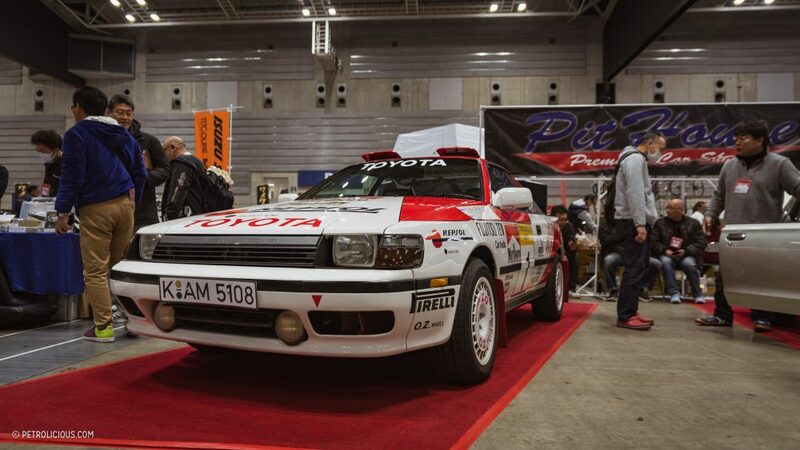 Walking around some more, I then came across a few dozen truly interesting specimens like the rally-spec Toyota Celica above. 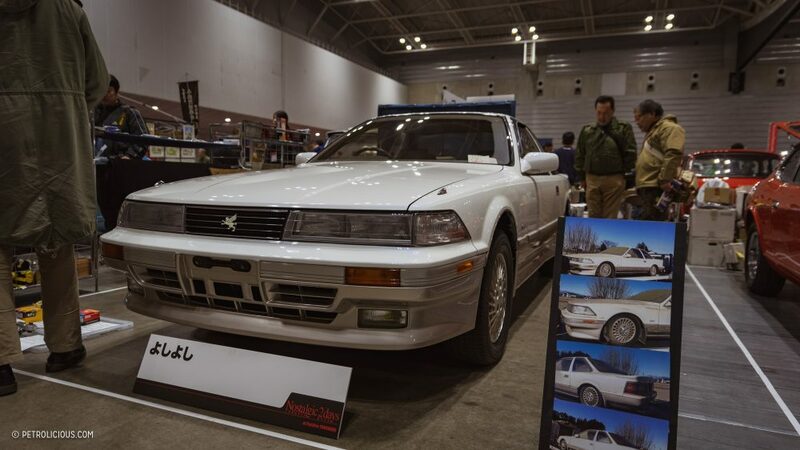 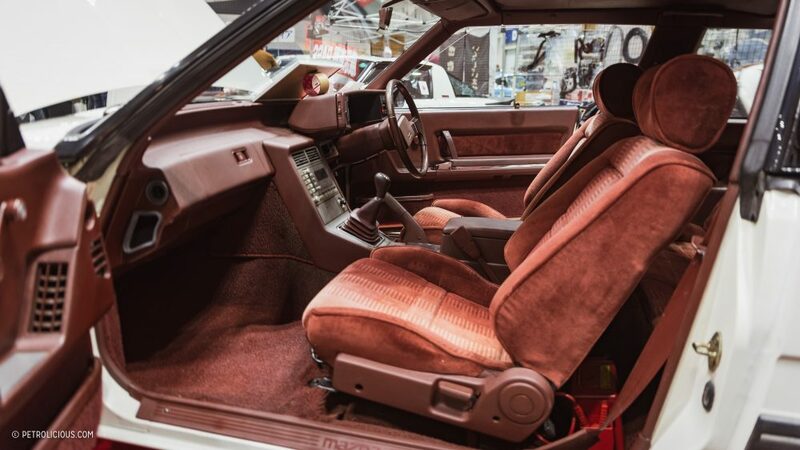 The Toyota Soarer displayed at the Yoshi Yoshi stand showed what the shop could do with a neglected car, and they brought the before and after photos to prove it. 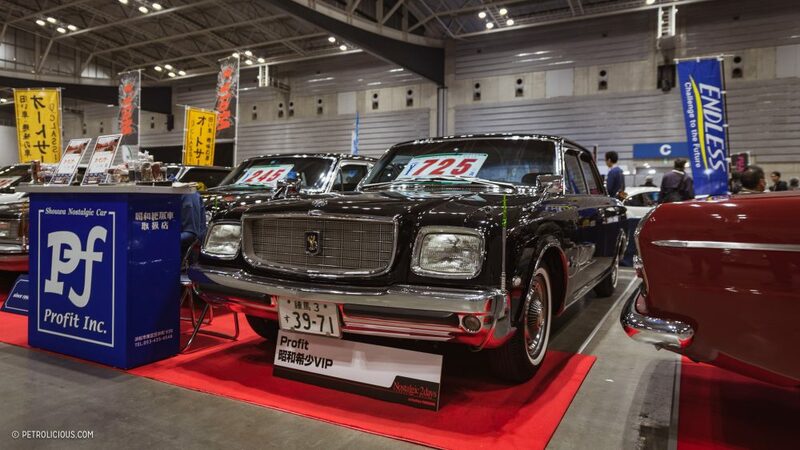 It was also a good chance to do some old license plate spotting, like the single digit example attached to a VW Beetle, and another fitted to a first-generation Toyota Century luxury sedan. 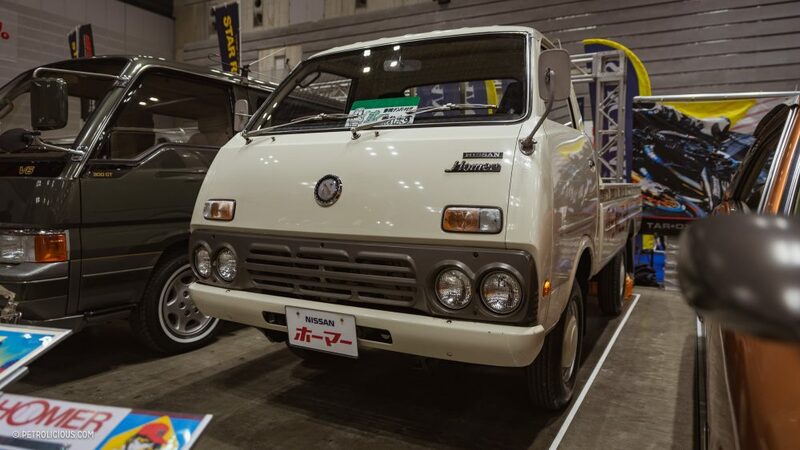 I even saw my first Nissan Homer, which I admit to thinking was a van when I first spotted it in the distance… Doh! 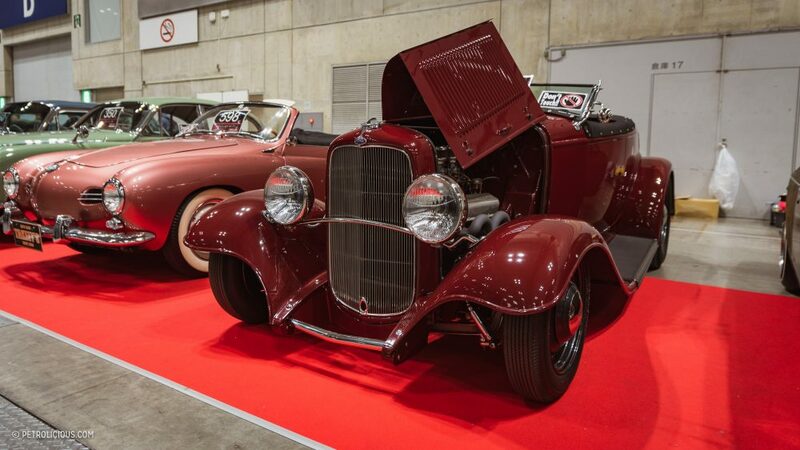 While most of the cars on display here were brought in by dealers hoping to make a sale or to generate exposure for their services, there was also a special area for owners of period-correct cars to display their prides and joys. 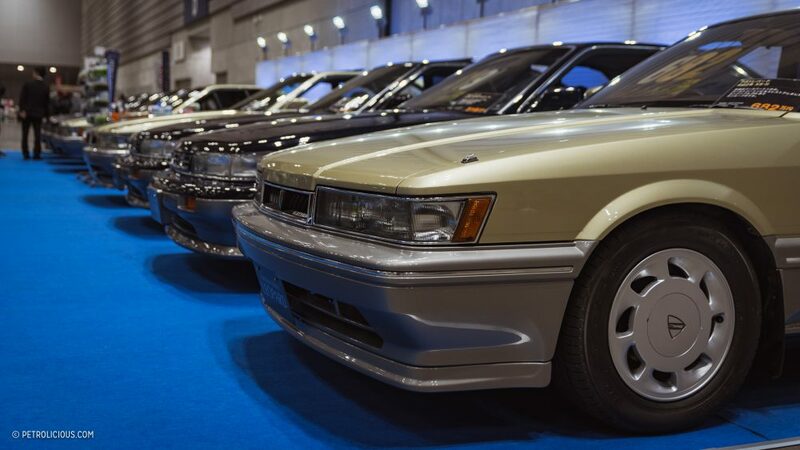 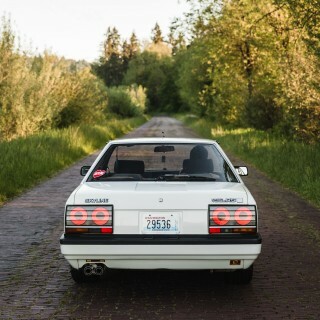 Some of the machines in this section were in showroom condition—the Nissan Skyline GTS-T sedan, Toyota Camry, and Honda N360 were particularly clean examples, shown below. 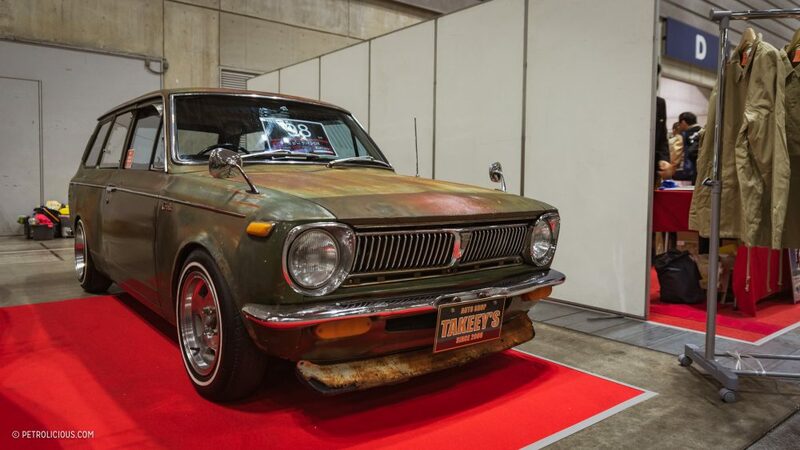 In true Japanese style, the owners have meticulously looked after these cars during their ownership, and many had had them in their garage for decades. It’s these sort of people who pass the nostalgic joy of cars onto the next generation by not only showing them these cars, but by showing their potential when properly cared for. 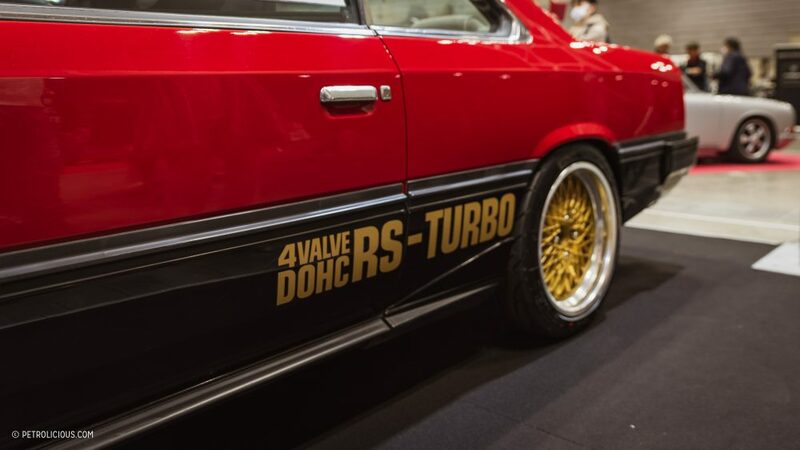 There were so many awesome tuner specials and OEM survivors to look at, and in no time at all I’d spent a solid percentage of my imaginary yen on a few really choice cars, the dark blue Suzuki Cappuccino a notable early “purchase.” However, the stunning navy blue Mercedes 280SL Pagado would be the car I’d take home if I could only have the keys to one. 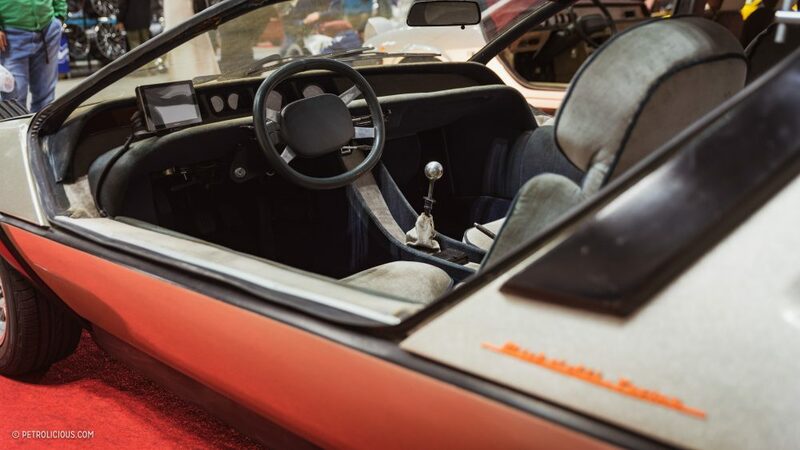 I’ll be back on Monday with the second part of my trip to Nos2Days, wherein we’ll take a look at the (exceptional) parking lot and a few special pieces of automobilia.